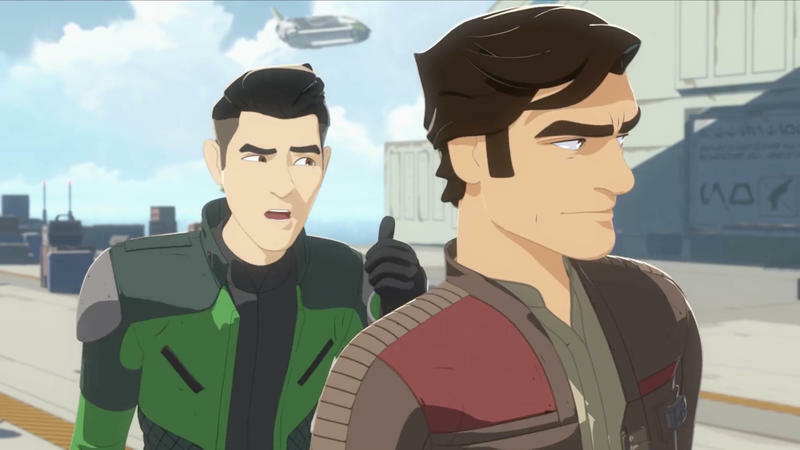 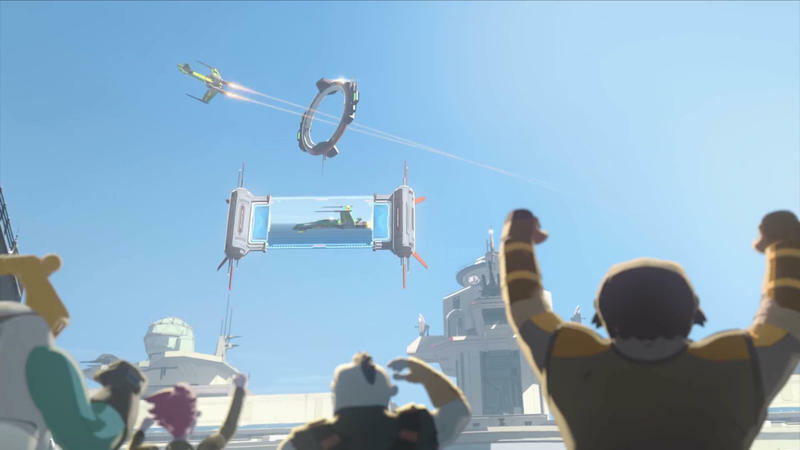 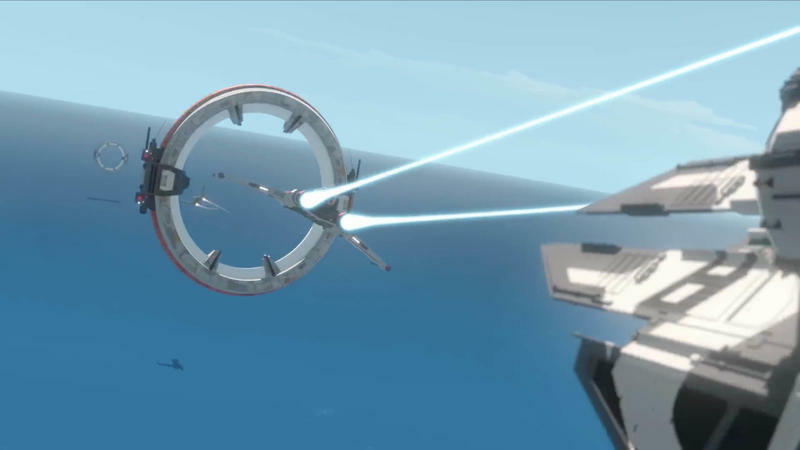 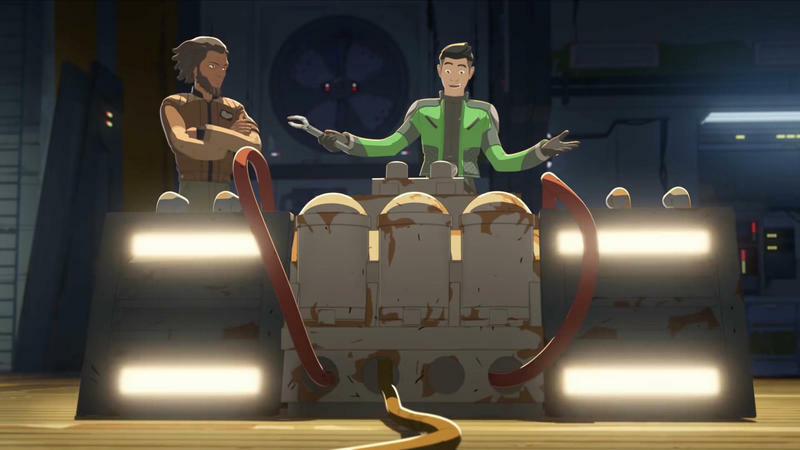 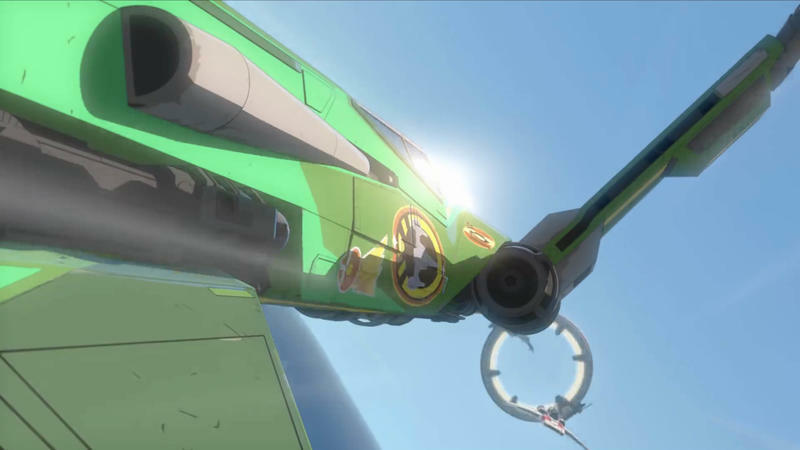 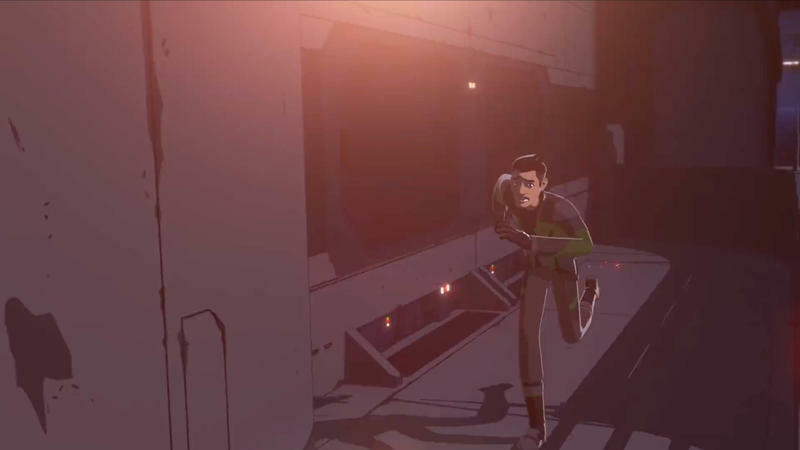 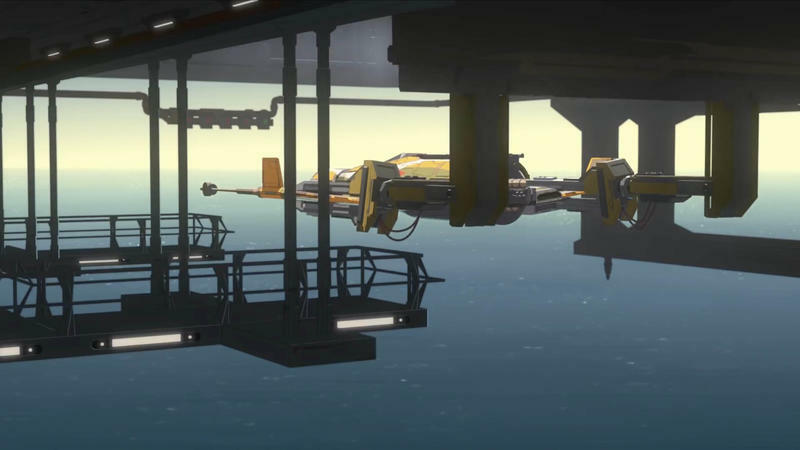 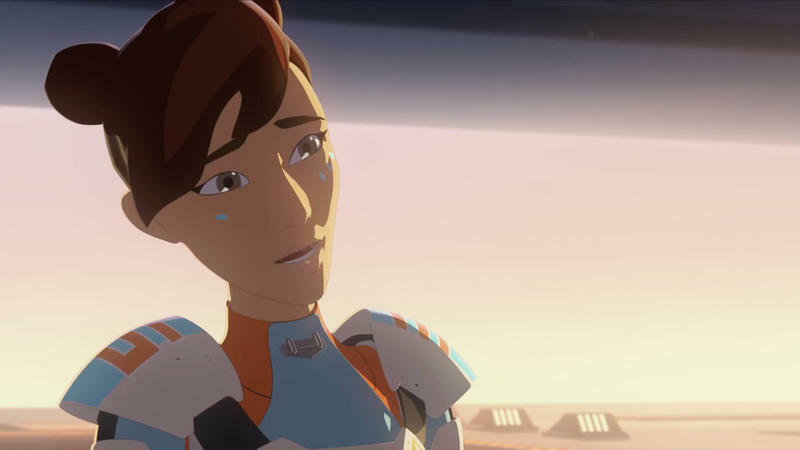 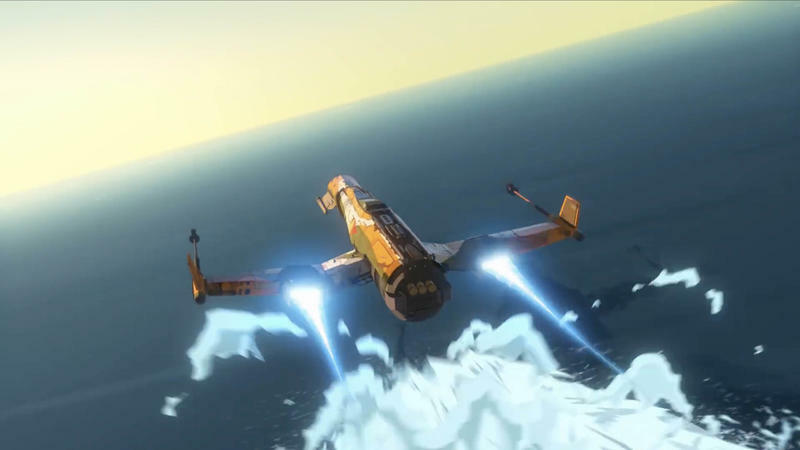 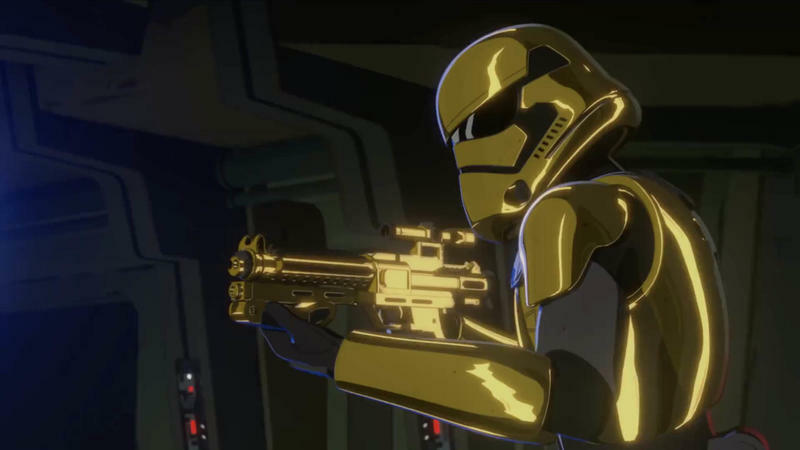 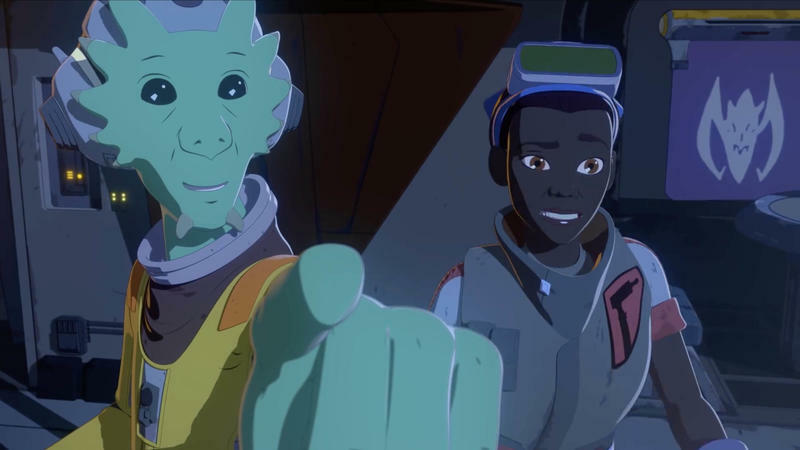 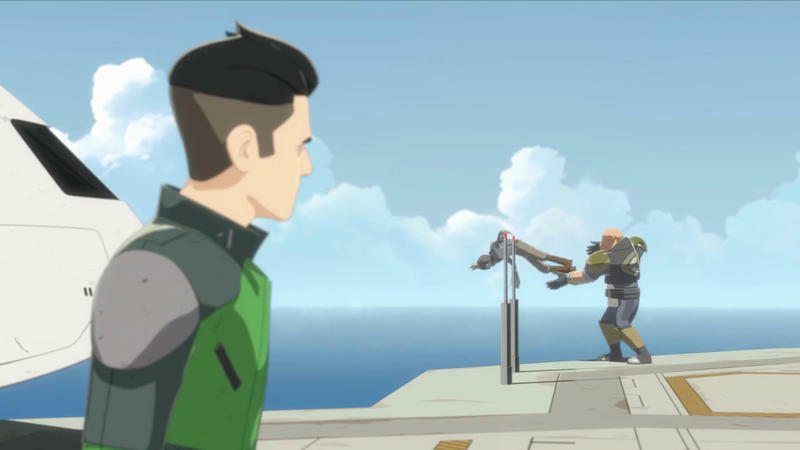 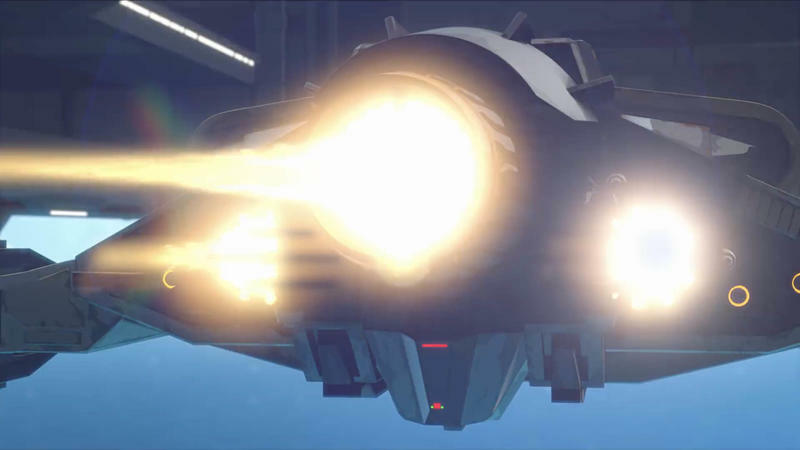 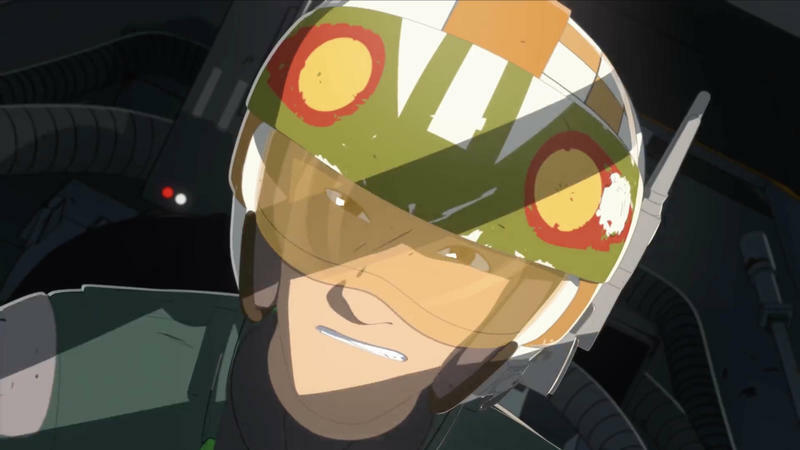 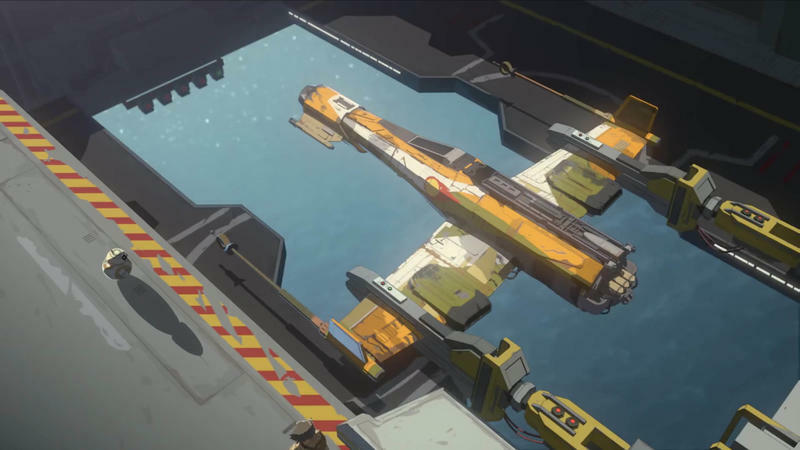 Disney this week released the first trailer for Star Wars: Resistance, a brand new animated show set to debut this October. 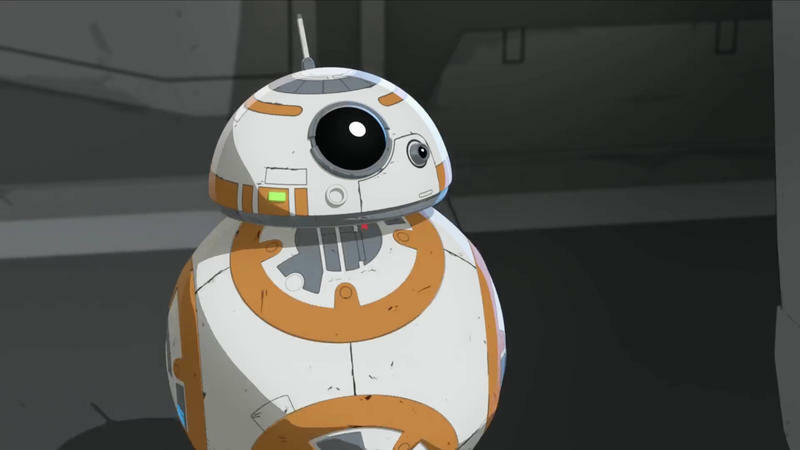 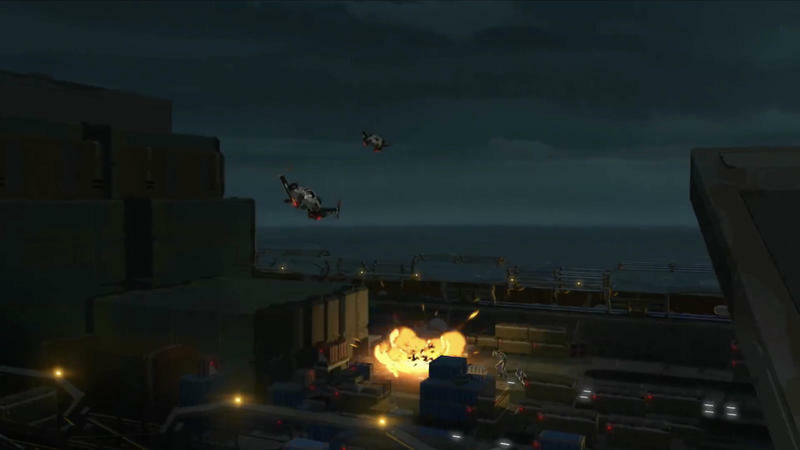 Based on the first trailer, the show looks to feature plenty of action, humor, and some of our favorite characters, including BB-8. 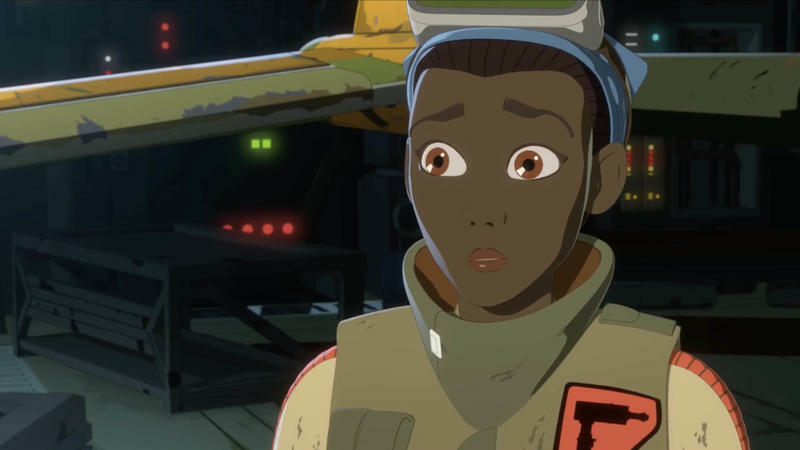 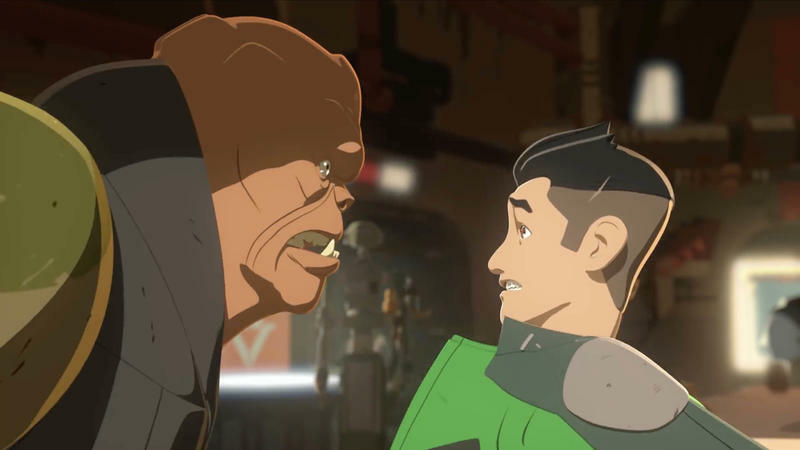 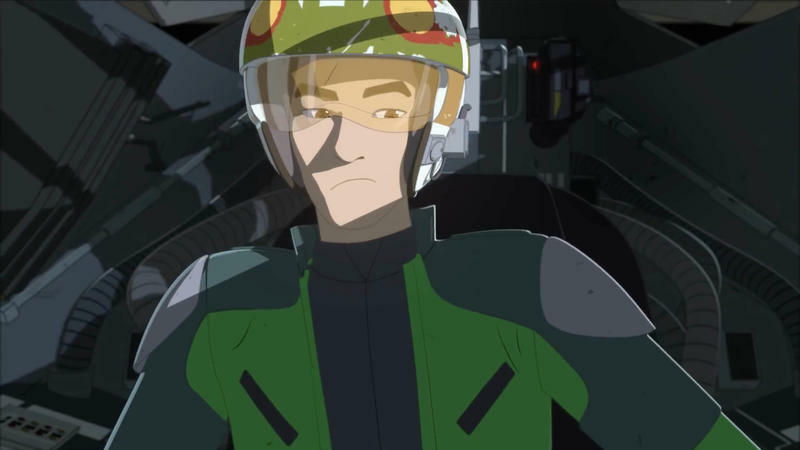 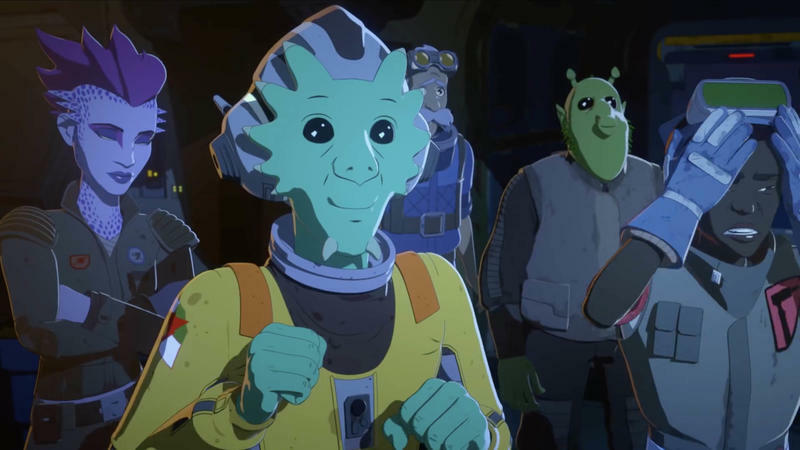 While the show features familiar Star Wars characters, Resistance will also introduce plenty of new faces. 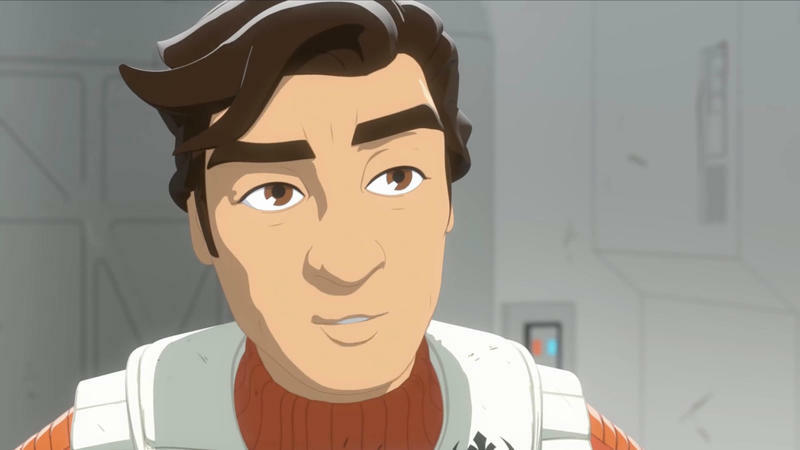 In the trailer, we meet Kazudo Xiono (Christopher Sean), a confident young pilot who flies for Leia Organa’s burgeoning Resistance. 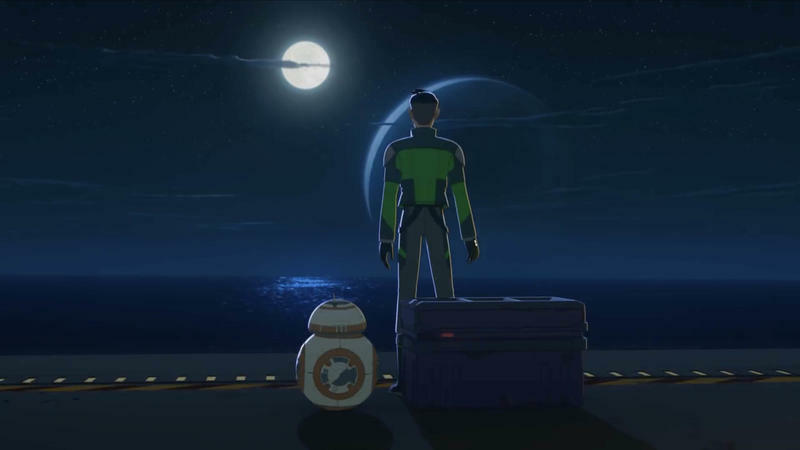 Poe and BB-8 assign newly-appointed spy Kaz to the Colossus, a massive aircraft re-fueling platform on an outer rim water planet, home to colorful new aliens, droids and creatures. 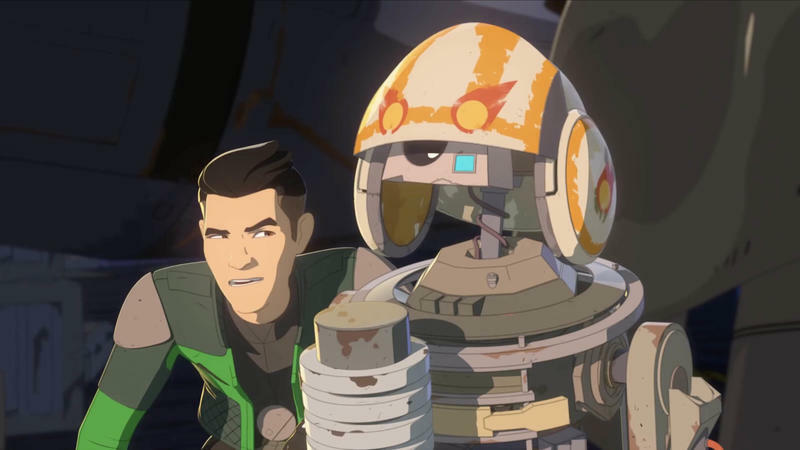 While undercover, Kaz works as a mechanic and lives with Poe’s old friend Yaeger, a veteran pilot who operates a starship repair shop run by his crew: Tam, Neeku and their old batter astromech droid, Bucket. 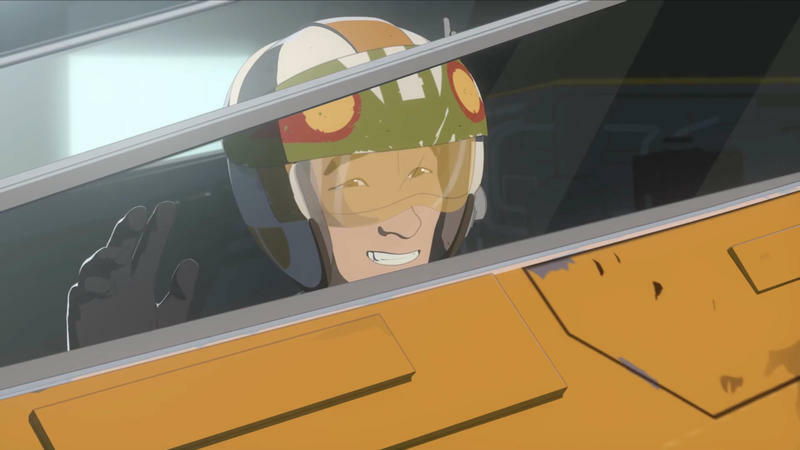 Kaz soon finds himself in over his head with his new friend BB-8 as he’ll have to compete in dangerous sky races, keep his mission a secret from his newfound family, and avoid the danger of the First Order. 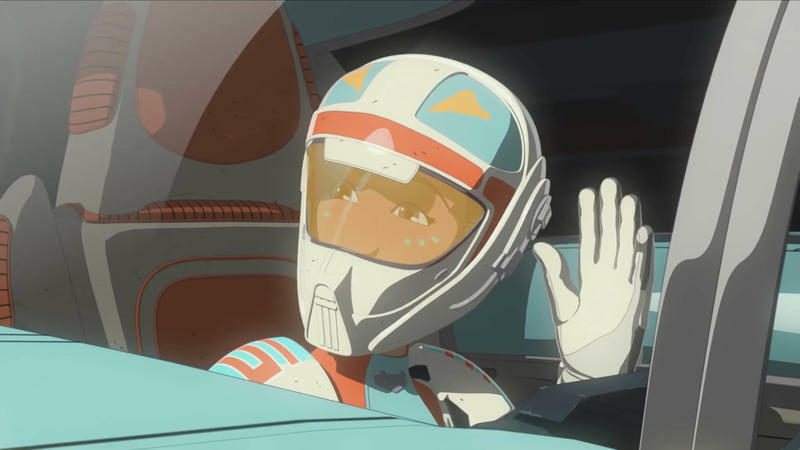 According to StarWars.com, Oscar Isaac and Gwendoline Christie are lending their talents to voice Poe Dameron and Captain Phasma, respectively. 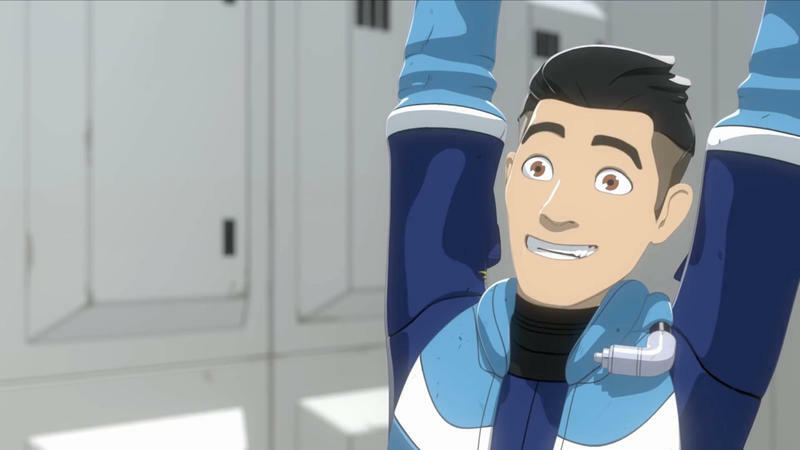 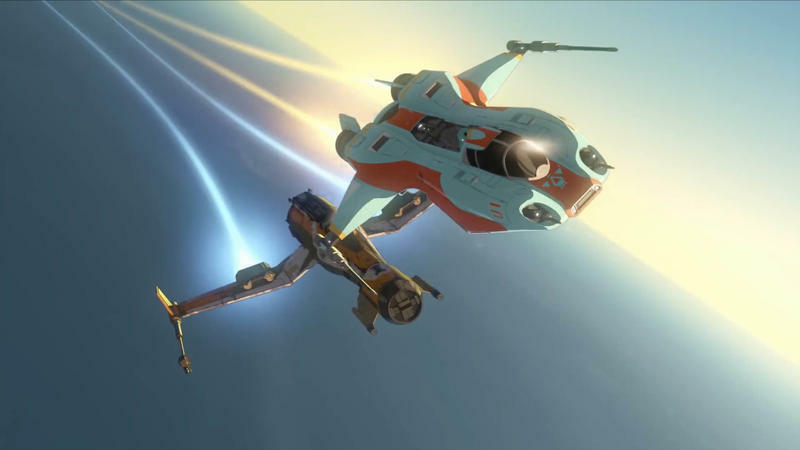 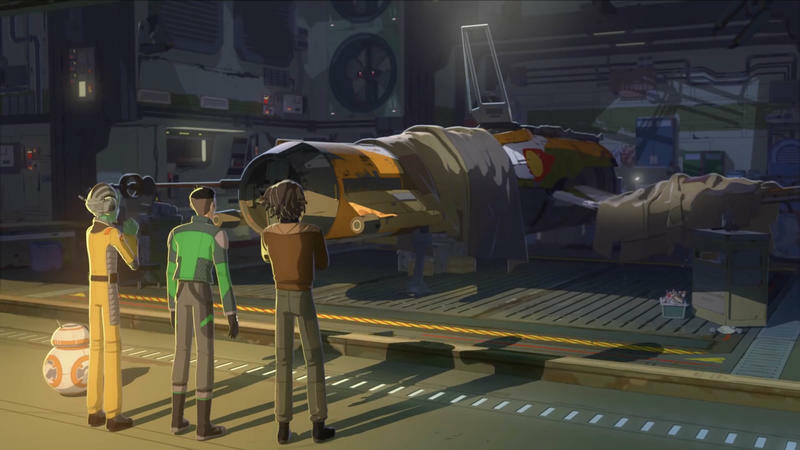 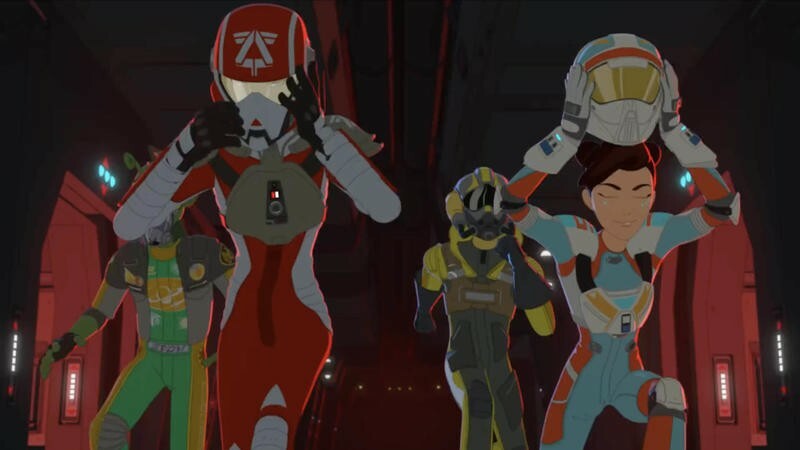 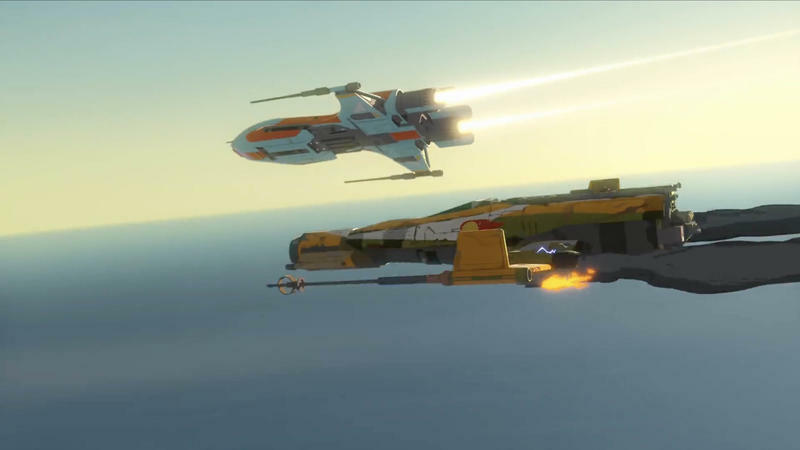 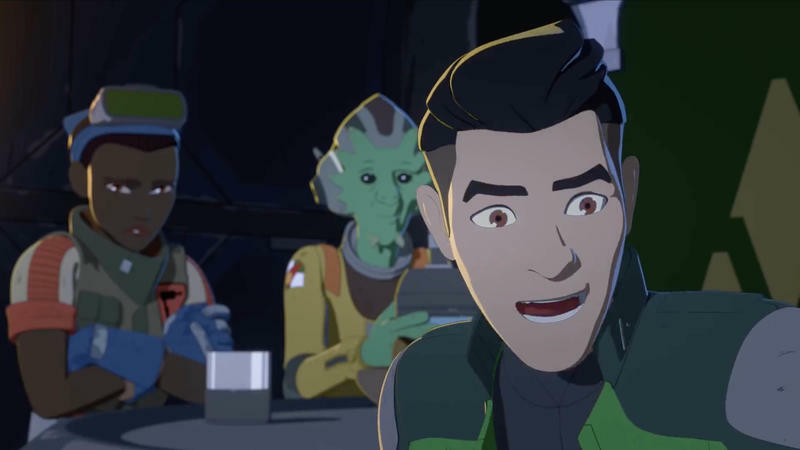 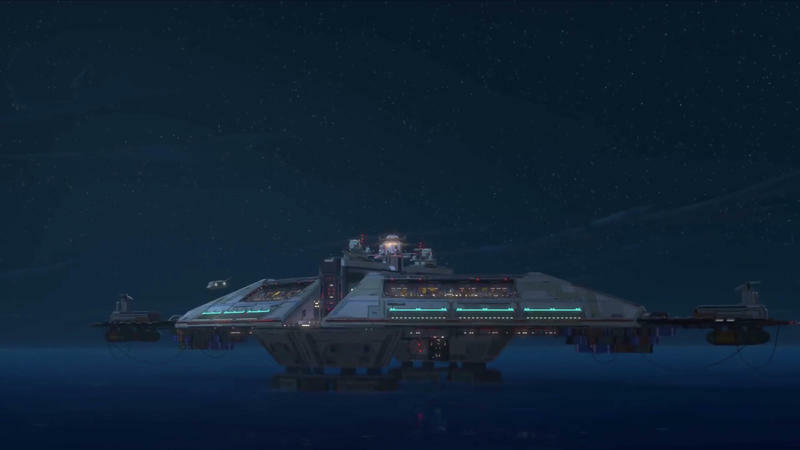 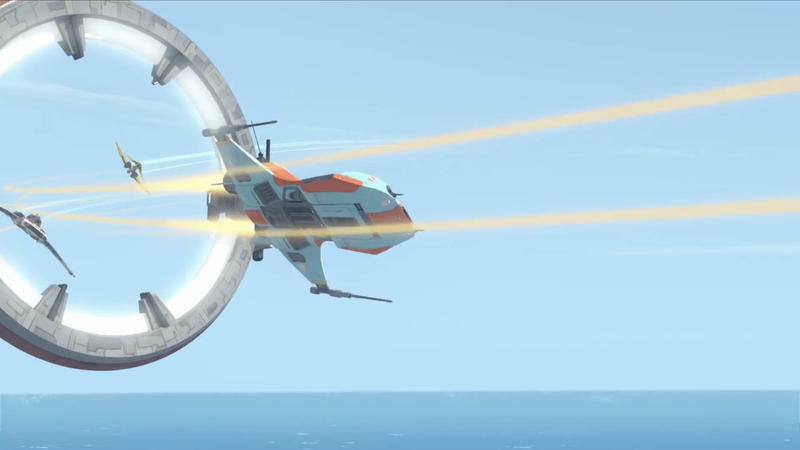 Star Wars: Resistance will premiere on the Disney Channel on Sunday, October 7 at 10 p.m. PDT.